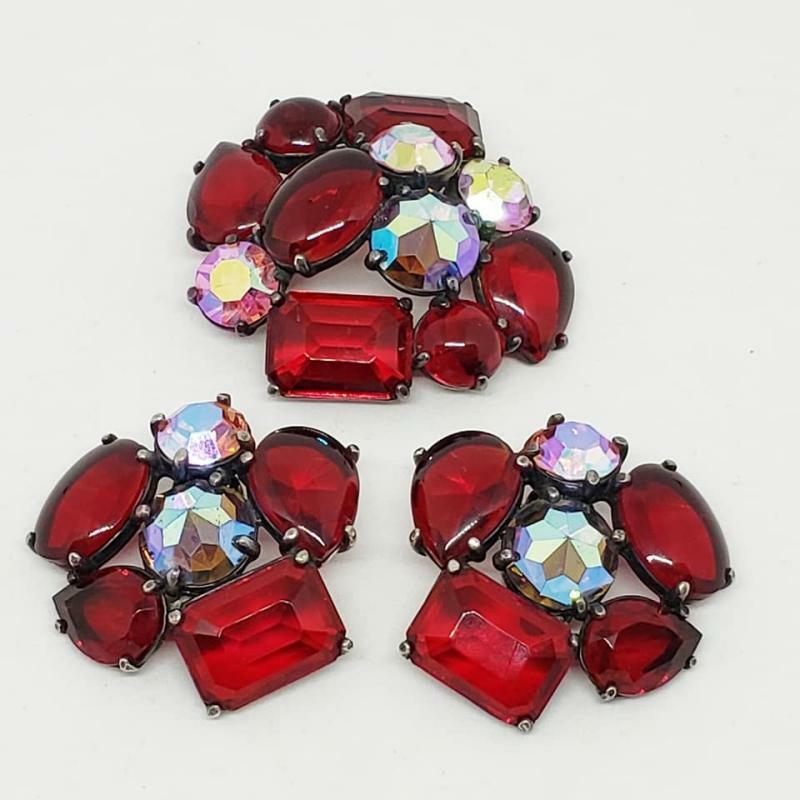 This beautiful brooch and matching clip earrings have cherry red glass cabochons and pink and blue AB rhinestones set in a silvertone metal with a blackened coating. 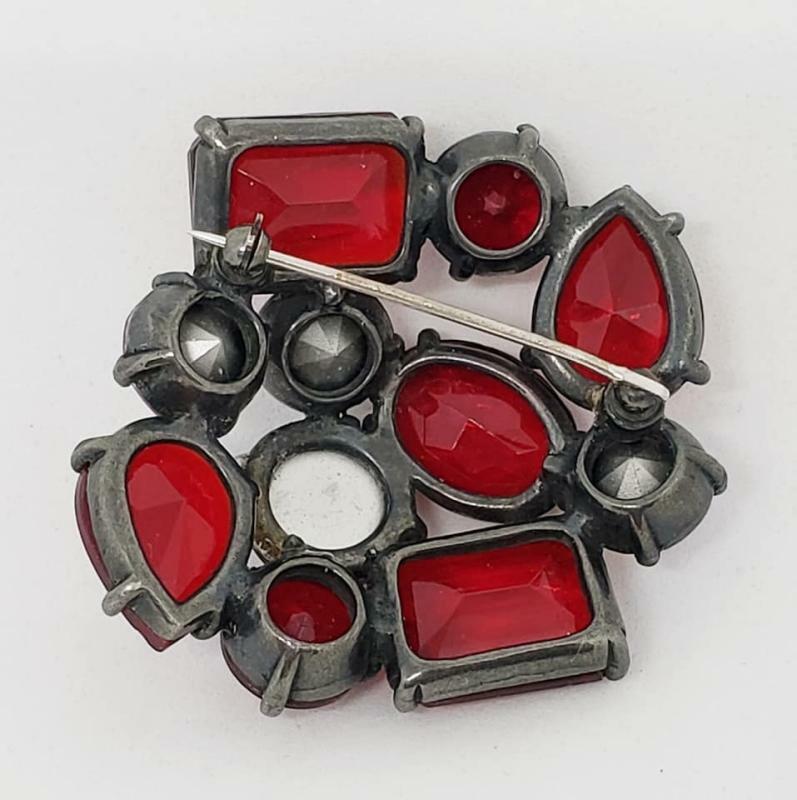 Some of the coating on the earrings has some wear to it, and the pin stem on the brooch has been placed. 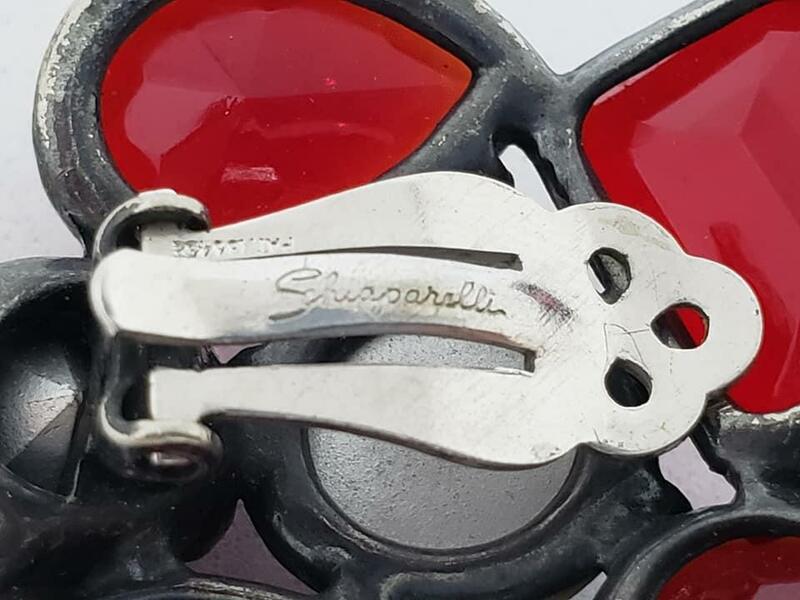 The Schiaparelli name is inscribed in script on each clip, and they are also marked Pat.No. 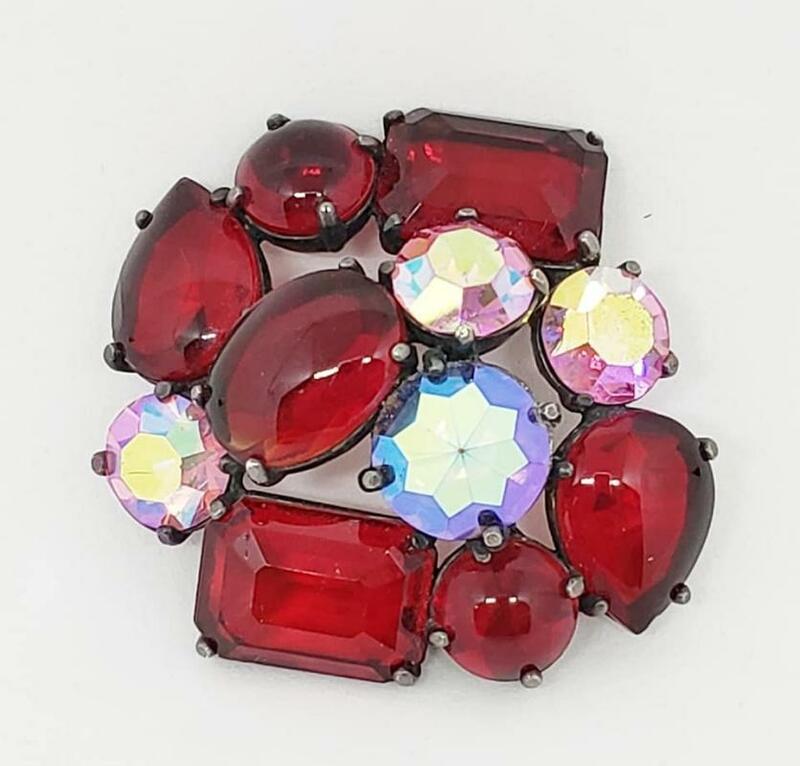 193452. 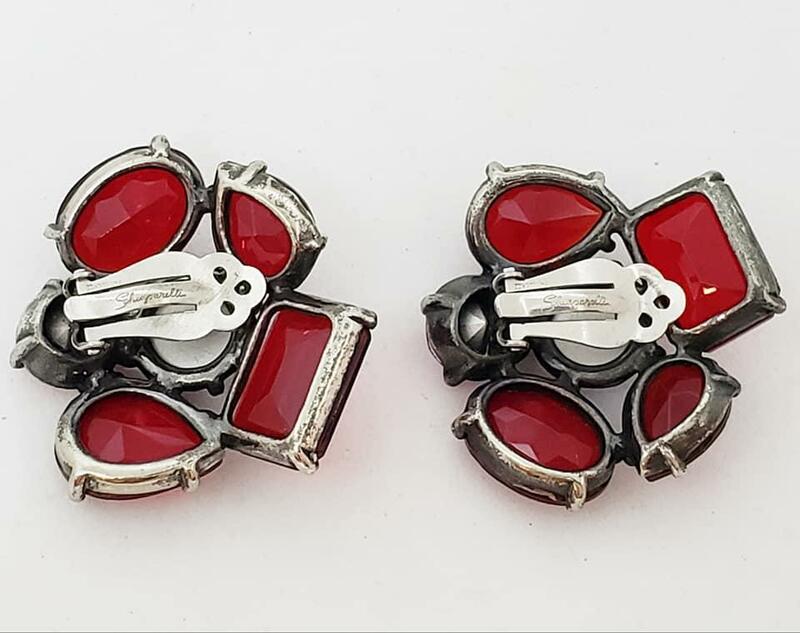 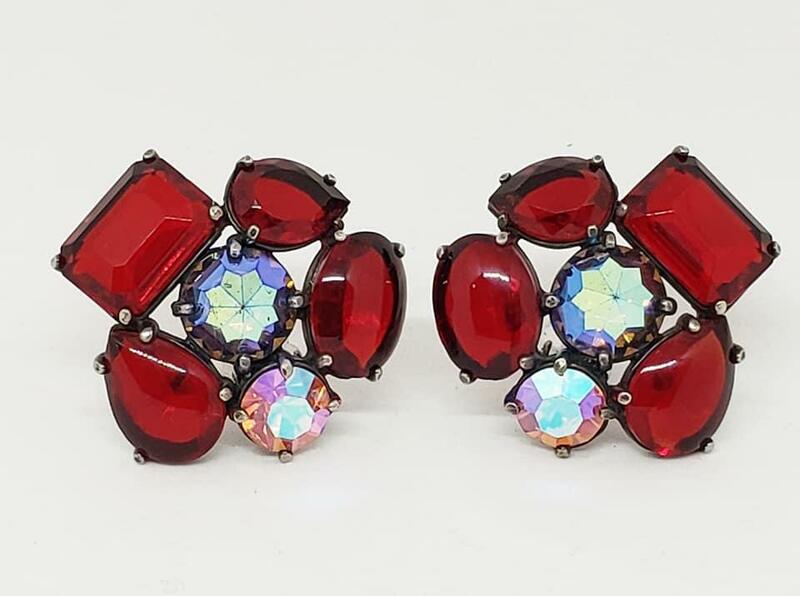 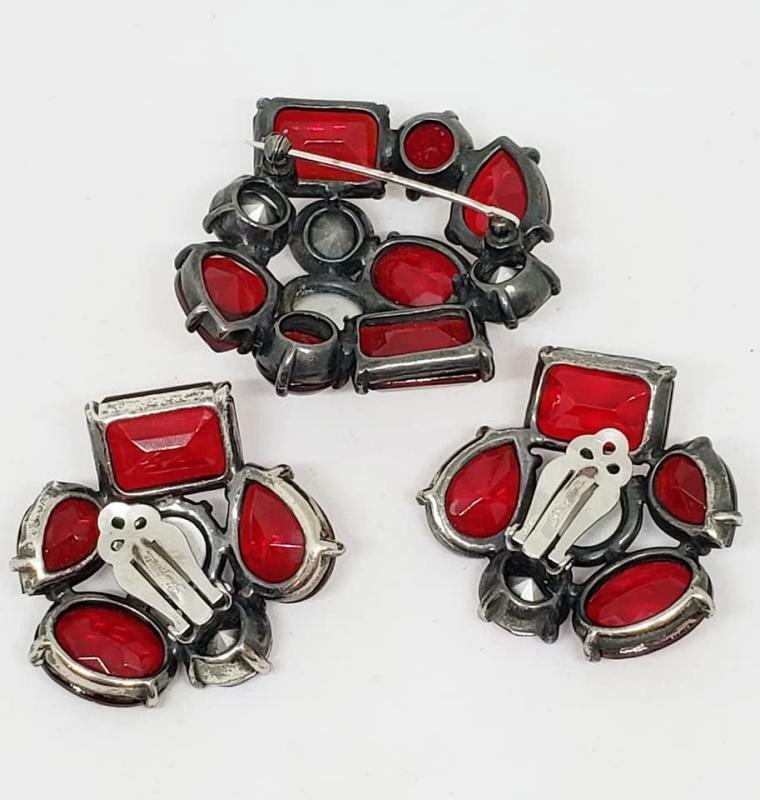 Items Similar To "Schiaparelli Red Glass Brooch and Clip Earrings"